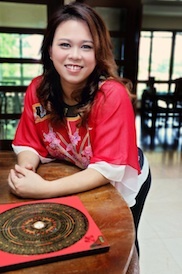 With the interest of natural science in Feng Shui since she was 13 years old, Jancy Tan-Lew the founder of Mfengshuified has seek knowledge from many feng shui books written by several famous masters to quenched her curiosity. Through her journey she had the opportunity to study under the tutelage of world's renowned Grand Master Yap Cheng Hai of YCH Academy and was honoured to have graduated under his guidance as one of the top student in her class. Apart from learning classical feng shui, she also had the opportunity to learn Qi Gong (Yan Shou Gong) - Martial Arts for Longevity - from Grand Master Yap Cheng Hai who has more than 50 years in experience in the martial arts scene and feng shui. "Feng Shui is a way of living and is not a religious belief, it has a lot to do with the balance of your everyday life, a balance of yin and yang" as quoted by Jancy. She has practiced and experimented with feng shui on her everyday life and came to a conclusion that feng shui is a very powerful tool, use it right and all opportunities you seek will come your way. Apart from practicing feng shui, she and her husband runs an architectural and interior design firm that also display imported furniture from Europe called iHaus - German Interior Showhaus - this is only one of the few businesses she oversee while there are others that requires her to travel around the globe. She enjoys traveling as she gets to learn more and apply her feng shui skills whenever possible even while she is travelling there are bound to be someone in need of her consultancy. Her husband Fraymond Lew who graduated as an architect from RMIT Melbourne has followed in her footsteps and studied feng shui under the same grandmaster. He has found that feng shui is a knowledge gain for a lifetime and as an architect he has found it very useful to apply feng shui in all his design. At the same time while trying to combine feng shui and design, he has learned to trouble shoot to make the design blend in with feng shui. Together they now practice feng shui and found that it has enhance their life as well in business by gaining opportunities, good health, wealth and happiness. They set out to offer feng shui consultation for clients from numerious countries and are proud and happy with the result they bring for their client. They make it a point to share their interest in this field with many who are keen to learn and know more about classical feng shui.
" 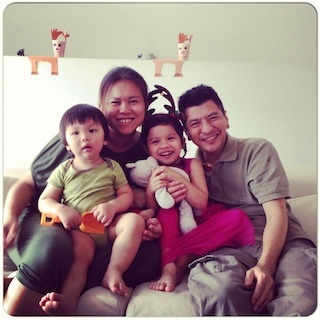 Yap Cheng Hai comes from an impressive Feng Shui lineage. A Chinese Classics scholar well versed in Chinese heritage and traditions, his expertise spans six decades. 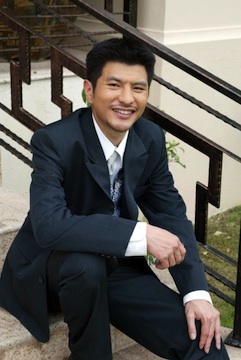 He has learned from many other masters (now deceased) and schools of Feng Shui in Hong Kong, Taiwan, and Singapore. He has ventured into Yin Feng Shui, visiting countless Chinese cemeteries to study ancestral burial sites. The Chinese believe that the orientation of ancestral graves also has an influence on the fortunes of their descendants. The study of authentic Yin Feng Shui is considerably more complex and difficult than Yang Feng Shui." "Master Yap is particularly skilled in the practice and interpretations of Parc Chai (Eight Mansions school), San Yuan (Flying Star School) and, most renowned of all, the Water Dragon Classic (Water Feng Shui). Water Feng Shui's main promise is the serious enhancement of wealth. Master Yap's work and his success in this area of specialization have gained him an international reputation." It is important to be on site to conduct the feng shui consultancy for a more accurate reading. As for online feng shui audit, it will only consist of two school of feng shui.